Inspired by 90s vintage runners, the adidas Originals Temper Run saw its original release in 2014, to a low-key reception. After a 4 year hiatus and back by popular demand, the adidas Originals Temper Run returned in May this year, with exclusive availability from adidas Originals’ Hanbury St store. 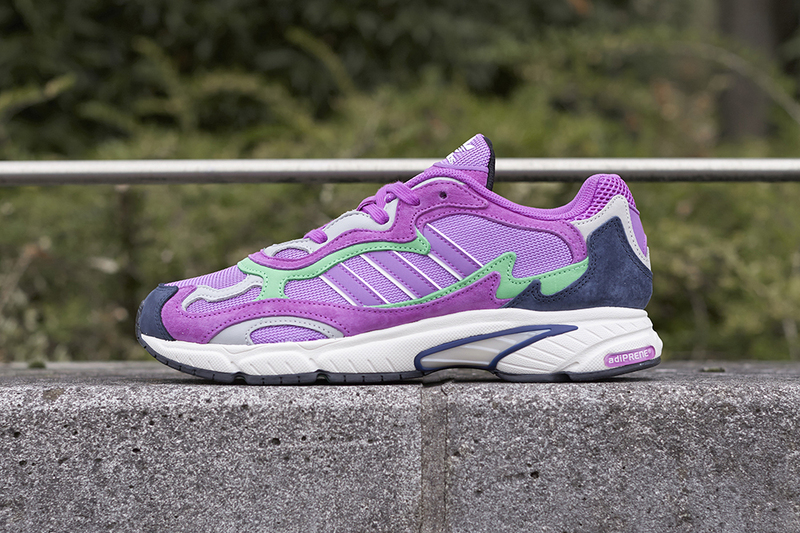 Merging 90s performance with contemporary details, the style features a chunky runner aesthetic, and references design elements of the Yung 1, Falcon and Galaxy. The Temper Run is also rumoured to have been the influence behind the design of the Yeezy 700 runner. After its initial 2014 release and the subdued reception it received, the Temper Run style became difficult to track down and eventually became deadstock product. Fast-forward four years, the current trend/market is driven by the ‘chunkier’ runner look, with a demand for a bulkier aesthetic. With this in mind, 2018 seems the right time to reissue the sought after Temper Run silhouette. Reissued in a layered mix of mesh and suede, the latest Temper Run iteration is sculpted with a EVA midsole for lightweight cushioning and support. 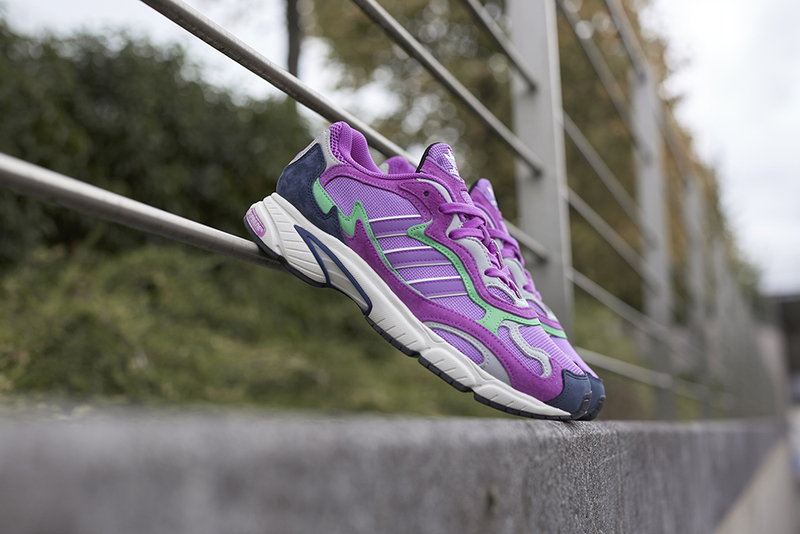 The styles colour palette uses vibrant violet as a base tone, with accents of green and purple on the sidewall, navy blue on the heal and contrasting white on the ‘adiPrene’ midsole. The adidas Originals Temper Run will be available online and in size? stores in the next couple of weeks, so keep an eye on our social channels this week for more information. Check out what we found in our adidas Equipment Archive here at size? HQ.